Are HOMEs WITH A FUTURE"
I want to offer a hearty thank you to all those who attended a great 2016 NMHOA Annual Convention! Thanks to the support and assistance of our local host, the Nevada Association of Manufactured Home Owners, Inc. (NAMH), we were able to meet September 20-22 in Henderson, NV and enjoy not only a great convention, but also the wide variety of entertainment offered at the Sunset Hotel & Casino and in the broader Las Vegas community. There was a nice mix of both first time and veteran attendees at the convention, including people coming from AZ, CA, CO, DC, DE, FL, MA, MN, NJ, NV, OR, UT, WA. Not surprisingly, we drew most heavily from the western United States and even convinced some western state associations to rejoin NMHOA, including groups from Arizona, California, and Nevada. The convention had a nice mix of business, socializing, and even entertainment. Thanks to the musical duo, DeAnna Mireau and Daena Lee Mireau. We had great speakers and presentations on federal policy, state policy, community organizing, membership programs, and election organizing. The sessions drew not only on the knowledge and experience within our network, but also from outside experts, including Carolyn Carter from the National Consumer Law Center, Kate Davidoff from CFED, and George Kaelin, from the law firm, Allen Semelsberger & Kaelin LLP, that specializes in manufactured home residency law. Congratulations again to everyone on a wonderful convention! 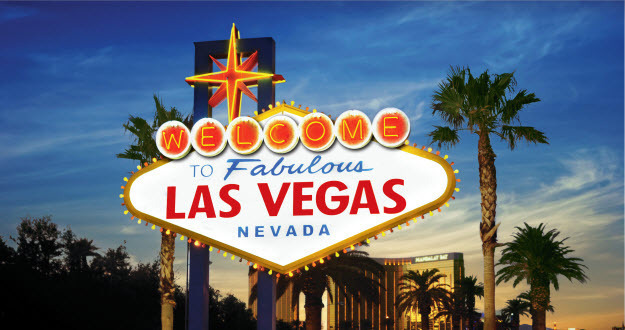 You can view this year's preliminary schedule here -- 2016 Convention Agenda. The Convention will take place at the Sunset Station Hotel & Casino. You can download a registration form that includes information about scholarships here -- Registration Form. 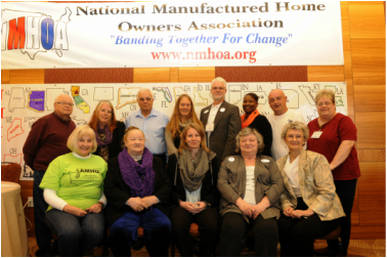 The National Manufactured Home Owners Association (NMHOA) Board of Directors is pleased to announce that its 2016 Annual Convention will be held on September 20-21 in Las Vegas, Nevada. NMHOA’s annual convention is a time for home owners from across the country to meet together to learn from each other and outside presenters about the best responses to common issues facing manufactured home owners. The 2016 Annual Convention will not disappoint – there will be something for everyone – returning attendees as well as those coming for the first time. As in past years, NMHOA is able to provide stipends for representatives from member state associations, and others, to attend. If your state association is a member of NMHOA, then we will provide stipends for two representatives to attend. The stipend includes air fare and room accommodation for Tuesday and Wednesday nights (sharing a room). If your state association is not a member, but you would like to attend, then the stipend will cover these same expenses and be available to the first two home owners from those non-member states, who want to attend. NMHOA has been able to keep the registration fee as low as it was last year. That means that for current NMHOA individual members the registration fee is $60. For non-members, the registration fee is $75 (which includes your first year of membership in NMHOA). You can pay by check or use the PayPal button on the webpage. Please do register early and book your flights. NMHOA will book your hotel room as soon as we have your completed registration form, which allows space for you to name your preferred room-mate.